As a busy mom working mom-ing and writing, I tend to gravitate toward the most time efficient way of doing just about everything. If I can run errands, or go grocery shopping, or pick up dry cleaning without two kids in tow, then I will. So, since they are now in daycare in the afternoons, I tend to do those things on my way home from work. It's just faster that way. I thought yesterday when I was making my game plan for today that I would vote before picking them up from daycare. It would be faster. I wouldn't have to worry about referee-ing, herding and voting all at once. It would just be easier. Then I realized it would be the first time in nine years that I would have voted without one of them with me. It gave me a kind of hollow gut-twisty feeling. If you want change, you have to vote. And I want to make sure my children, even if their views may be different from mine, know how important it is. So, I just couldn't vote without them. I love voting with my kids. I love explaining the issues to them. I love going through the process with them, and I love how excited they are when they get their "I voted." sticker. When I was a kid I voted with mom, and it has stayed with me. I'm sure my parents wonder some days where they went wrong as our political views lie on opposite ends of the spectrum. Still, I learned at a young age about the importance of participating. We live in an amazing country with a system however flawed is still a system that relies on our participation. If you don't like a policy, it's not going to change if you just throw you hands up and go home. I picked them up and fetched my husband. We continued a tradition that we started while I was at home with the kids. We voted, each of us taking one of the kids. Then we went to dinner together to celebrate. Today I was bombarded with news stories related some of my own stories. Thank goodness for facebook, reddit and news alerts. I've been working hard in instructional design mode that I might have missed them. But they're pretty exciting. First, archaeologists with the North Carolina Department of Cultural Resources will be attempting to recover 8 cannons from the wreckage of Blackbeard's ship, the Queen Anne's Revenge. The ship ran agroun d near Beaufort Inlet in June of 1718. If you've read my story The White House (currently FREE on Smashwords) you know that it speculates on the events leading up to the demise of the Queen Anne's Revenge and is loosely based on some other legends surrounding Blackbeard and his relationship to the town of Beaufort, NC. If you haven't read it then you really should. Did I mention it's FREE right now? 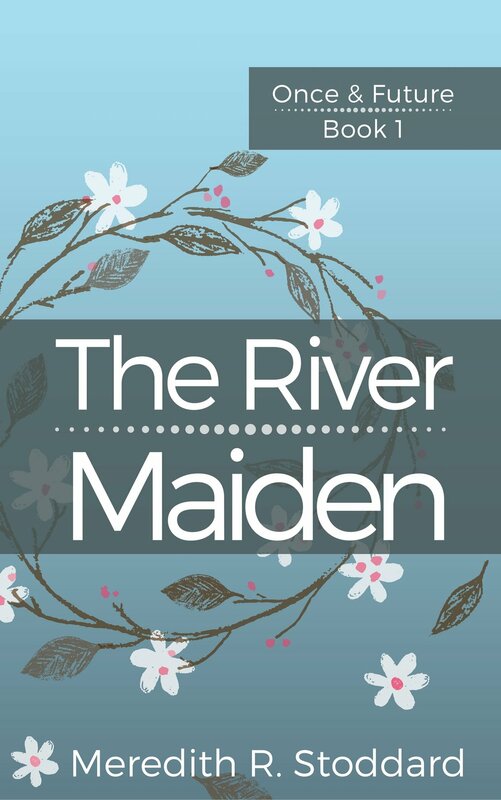 Then I saw a series of stories that relate to The River Maiden. (Yes, I am still working on it, I promise.) Actually, they relate more to the books following The River Maiden than they do to the first installment of Dermot and Sarah's story. So, I'll list these articles without comment to avoid possible spoilers. My husband will say I giving away too much, but he knows how my brain works better than you do. I'm hoping for you these are thought provoking teasers rather than spoilers. 1) A very interesting commentary on the role of Gaelic in the Scottish Independence movement. 2) A mysterious network of Stone Age tunnels stretching from Scotland to Turkey (or vice versa). 3) A European style Bronze Age monument found submerged in the Sea of Galilee. Yes, I am just nerdy enough to be thrilled by these articles. I get super excited about languages, politics and history of any era, and if I can get them all in one day it's a very good day.